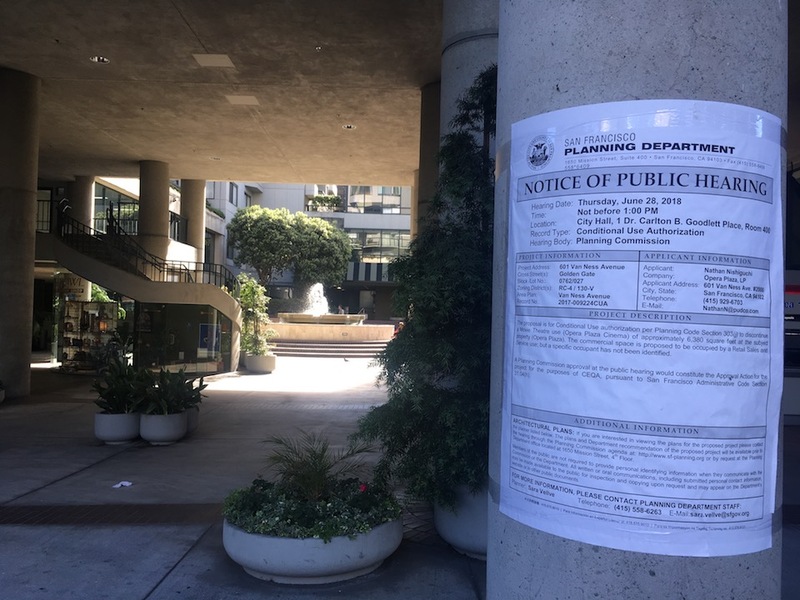 The public will have a chance to weigh in on plans to convert the movie theater at Opera Plaza into commercial space for retail stores or offices at an SF Planning Commission meeting this Thursday. 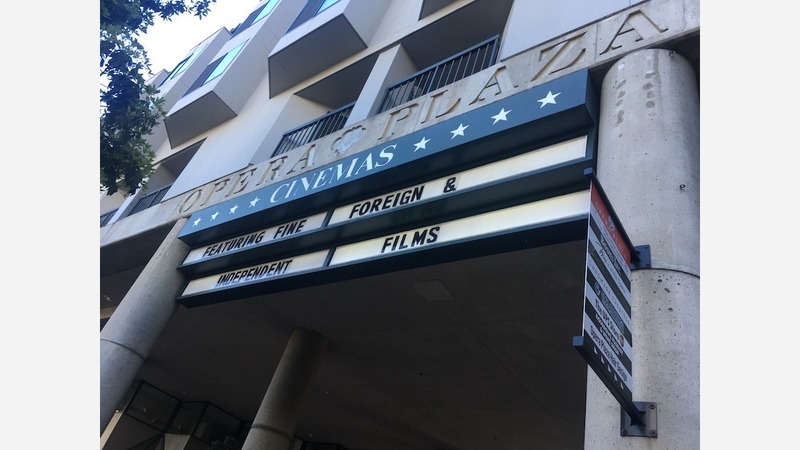 Last summer, Opera Plaza owner Nathan Nishiguchi of Pacific Union Development Company and Steven Vettel of Farella Braun and Martel LLP filed an application to change the 5,684-square-foot movie theater into 6,381 square feet of space used for retail sales and services. The conversion is estimated to cost $1 million. 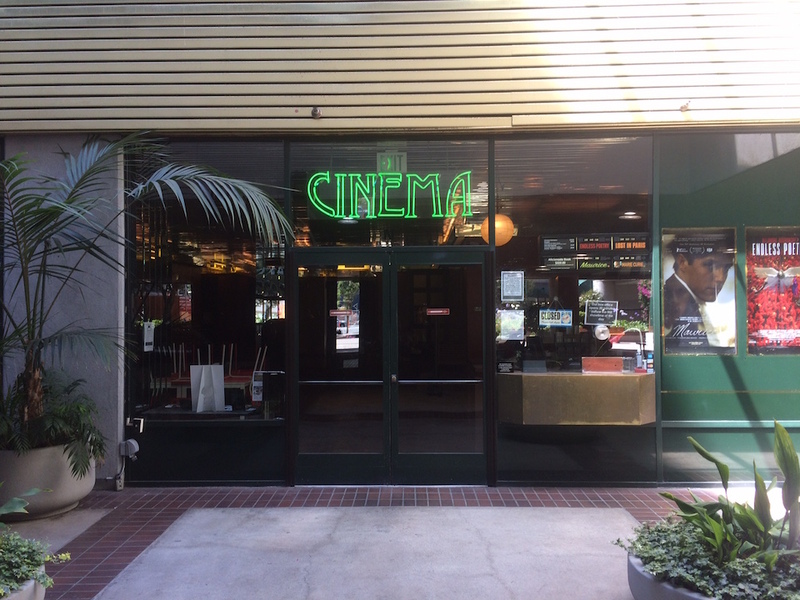 Opera Plaza Cinema, operated by Landmark Theaters since 1984, has no street frontage and is not visible from the street. Landmark has held the space under a month-to-month agreement over the past eight years, rather than having a firm lease. The theater pays the property owner an "occupancy cost" equal to its monthly revenues minus its monthly expenses, according to documents filed with SF Planning. The movie house's profitability has declined in recent years, and its annual payments to the property owner average about $2.86 per square foot over the past six and a half years. Another tenant in a similarly-sized space pays $12,000/month, or $18.53 per square foot, according to the owner. Additionally, the space is due for significant upgrades and renovations the property owner believes would be cost prohibitive. Notices for the public hearing have been posted around the cinema. No tenant has been identified to move into the space should it be converted, but the plan is to market it to retail sales and service companies, such as doctors' offices, financial advisors, or other professional services offices that do not require visibility from the street to attract business. The issue will be considered at the SF Planning Commission meeting on Thursday, June 28 after 1:00pm.